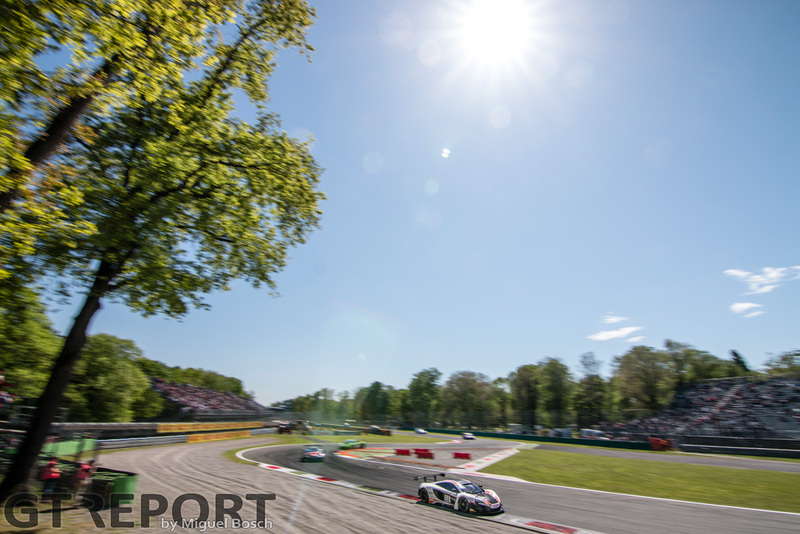 For over half a century, April has been the month of sports car racing at the historic site of the Autodromo Nazionale Monza. 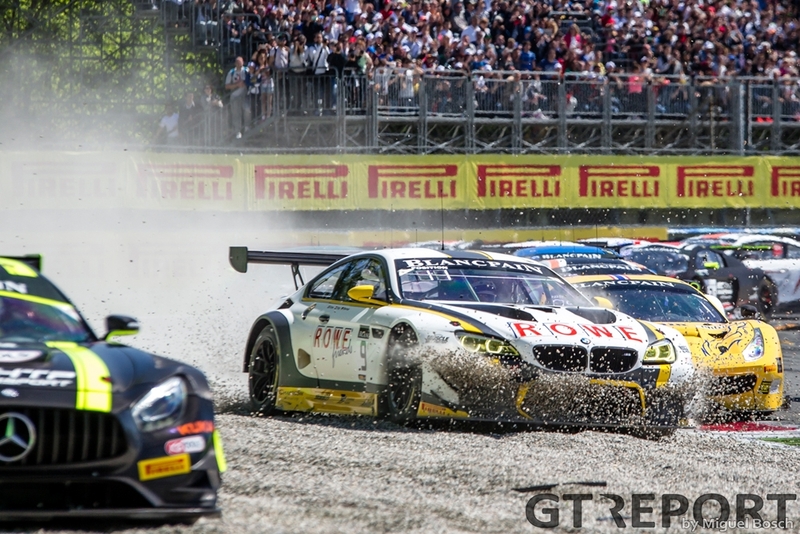 From the days of the World Sportscar Championship that came storming down the old banking of the 10 kilometre long race track, to the modern Blancpain GT championship, Monza has been one of the many homes of GT racing. 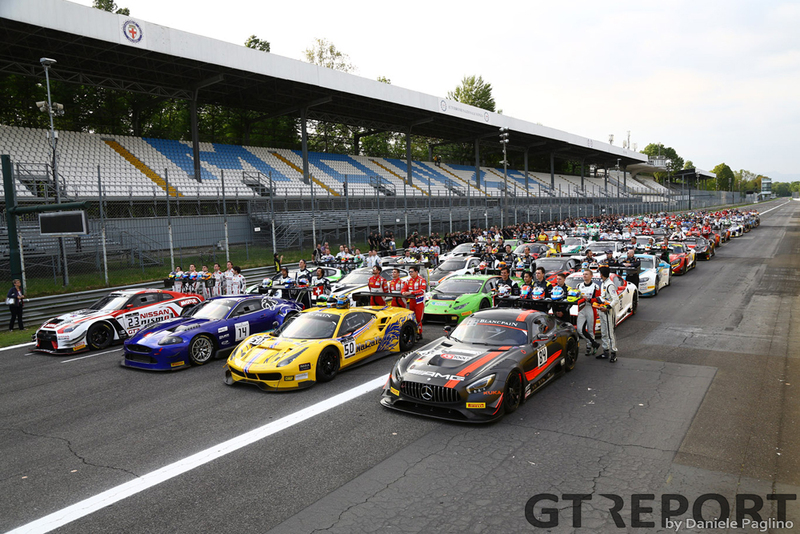 67 years on from the first 1000 kilometre race at Monza, a 57 car strong field of GT3s made the journey to Brianza for the Blancpain Endurance Cup season opener. The entry list foretold a highly competitive weekend was in the making in which 26 Pro Cup entries from works teams and strong customer squads were all dreaming of claiming the Monza crown. The talk on Friday night is all about the tight Balance of Performance. Qualifying shows 31 cars to have set a time within a second of pole position. While exciting on paper, some drivers are simply disgusted by the amount of cars on the fast but tight circuit, keeping them from easily overtaking and setting fast times. Others see it as just another challenge to overcome. 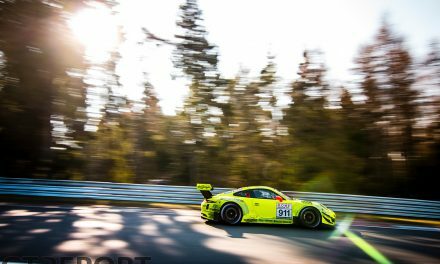 Hardened in the 150-plus car fields of VLN, Adam Christodoulou is hardly impressed about conquering the 5.793 kilometre long racetrack in the presence of 56 other almost equally fast GTs. Somewhat more reluctant is Indy Dontje. 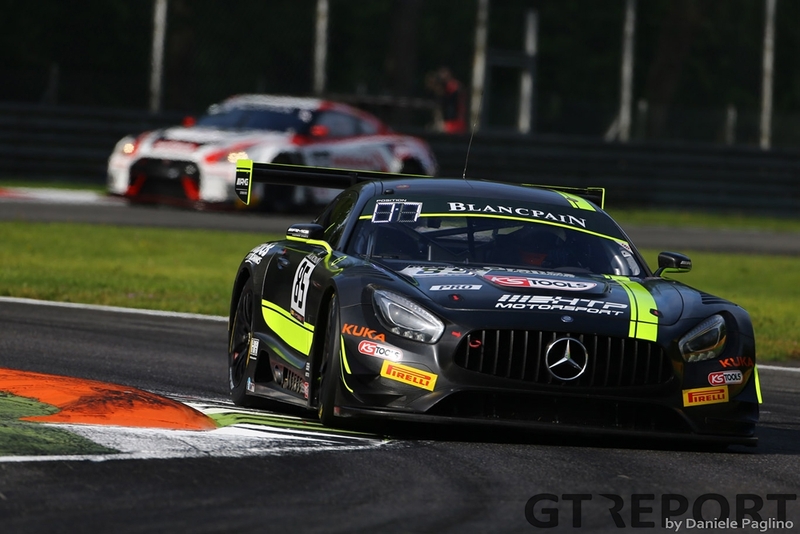 Racing with defending Blancpain Sprint champions HTP Motorsport in a car shared with young talents Clemens Schmid and Luciano Bacheta, the AMG Junior driver is up for starting duties and hopes he can begin at the front-end of the field to avoid the first-corner chaos. All the best intentions before the green flag is flown are to no avail when chaos does, indeed, ensue in the first chicane. 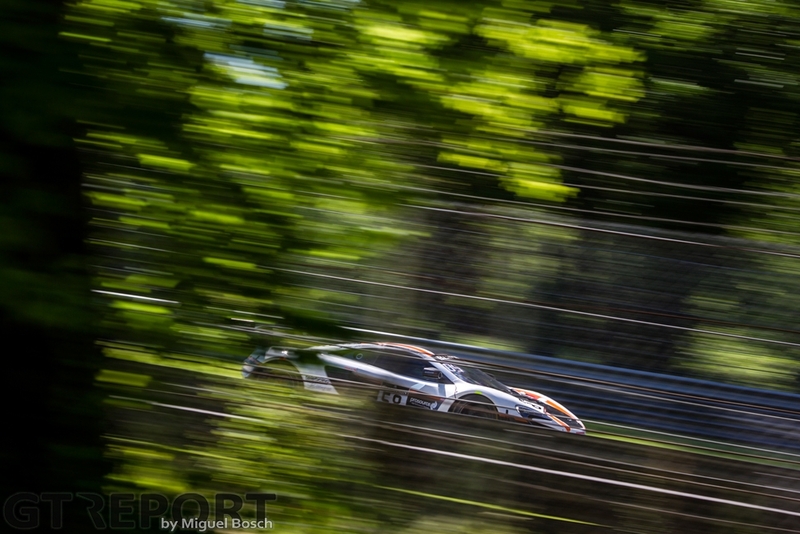 Dontje, until then happy with his fifth place on the grid, is one of the first to be caught up in the mess when he is forced into the gravel, followed by Philipp Eng in the Rowe Racing BMW M6 GT3, and a spinning Alex Fontana in the young works drivers’ McLaren 650S GT3. 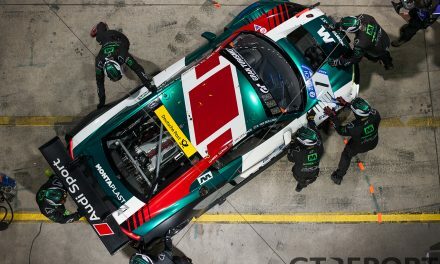 HTP’s sister car, the pole sitting number 85 HTP AMG with Dominik Baumann at the wheel, remains in the lead, closely followed by the number 23 works Nissan Nismo GT-R GT3 of Lucas Ordóñez who has done the start before he’ll hand over the big GT-R to Mitsunori Takaboshi for the middle stint and Alex Buncombe for the final. 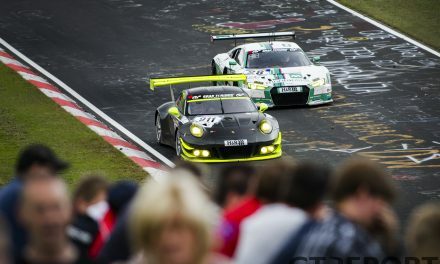 The first half hour of the race sees cars slicing and dicing through the field, either working their way up to the front or lapping slower cars. Just as Baumann is getting comfortable in the lead, Daniel Keilwitz dooms up in the Black Pearl Rinaldi Racing Ferrari 458 Italia GT3, the team’s Pro-Am entry, looking for a moment of weakness in traffic. That moment comes when Baumann is held up coming onto the long straight to the Parabolica. Keilwitz strikes decisively, claiming first position. Slowly but surely McLaren is moving up. Rob Bell has stayed out of trouble at the start and makes his way through the field to arrive at the first pit stop window in third place, where the Brit hands the car over to McLaren newcomer Côme Ledogar. Things turn out for the best for Ledogar: Nissan gets pinned down in the pits between the Attempto Porsche and Boutsen Ginion BMW, Jazeman Jaafar in the then-leading HTP AMG loses time when he can’t get up to speed leaving pit lane, and the Pro-Am class Black Pearl Rinaldi can’t maintain the lead after pitting earlier than the rest of the field. Ledogar leads the race solidly and uneventful, but that is about to change when with one hour to go Shane Van Gisbergen gets in. The New-Zealander easily holds on to the lead when Maximilian Buhk exits pit lane a lap after Van Gisbergen did, but that’s as big as his lead will ever get. McLaren is in for one thrilling finale. Half an hour remains on the clock, it’s go-time. The traffic already has been very bad—Shane Van Gisbergen would later describe it as a nightmare—and it’ll get even worse with 27 minutes to go. The unleashed Giancarlo Fisichella has worked his way back onto the lead lap in his AF Corse Ferrari and is leading a tandem with the McLaren, when a group of six hard-fighting cars appear in front of the duo. 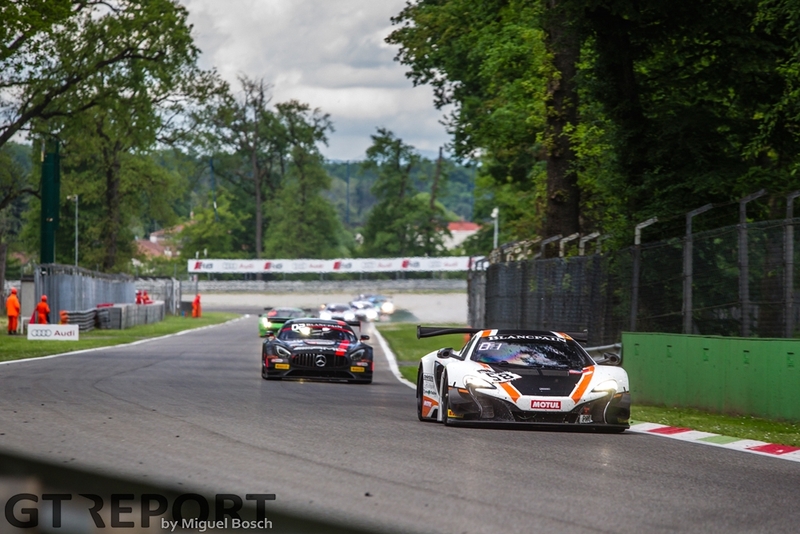 Braking for the first chicane, the Emil Frey Jaguar spins the Grasser Lamborghini out, right in the path of Van Gisbergen and forcing the McLaren 650S to take evasive action. Buhk, at the same time, finally makes it past the lapped M-Sport Bentley Continental GT3 of Steven Kane and into striking distance of Van Gisbergen. Close enough to make a move, the HTP AMG driver pushes and attacks. 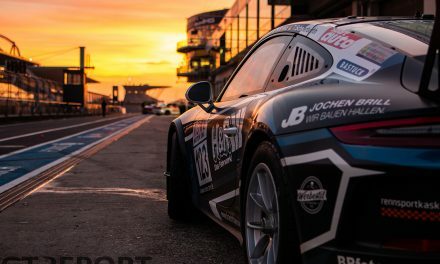 Mere tenths of a second is the difference between McLaren and AMG in the final laps in which Buhk finds himself several times door-to-door and nose-to-tail with his rival. But he never gets past. Close, but never past. 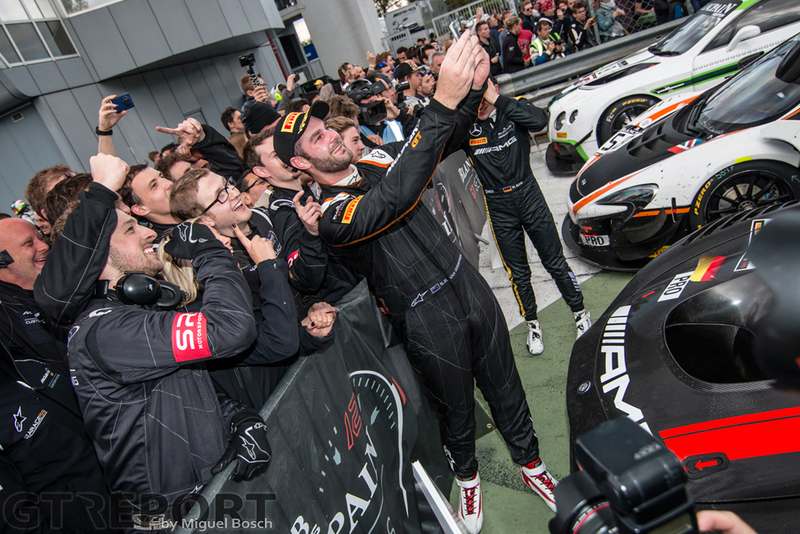 “We just had a good strategy to get us up there and the car was fantastic,” Van Gisbergen explains McLaren’s road to victory. “[Buhk] was really fast and close behind, but I defended from him into the corners so he wouldn’t get the opportunity, and it stuck. Last year McLaren showcased tremendous speed several times and finished off the season on a high by taking the win at the Nürburgring. However, it also lost out often enough to not be a title contender in the season finale. Monza was one of the races where the works McLaren wasn’t up to the challenge. Winning here today brings hope to Van Gisbergen to continue the manufacturer’s winning streak.